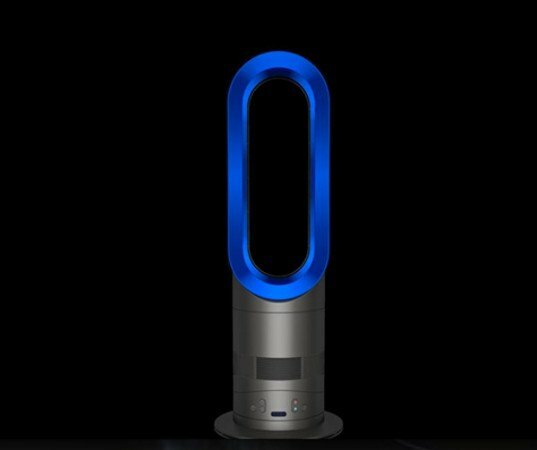 Dyson fans have been keeping us cool bladelessly since 2009. 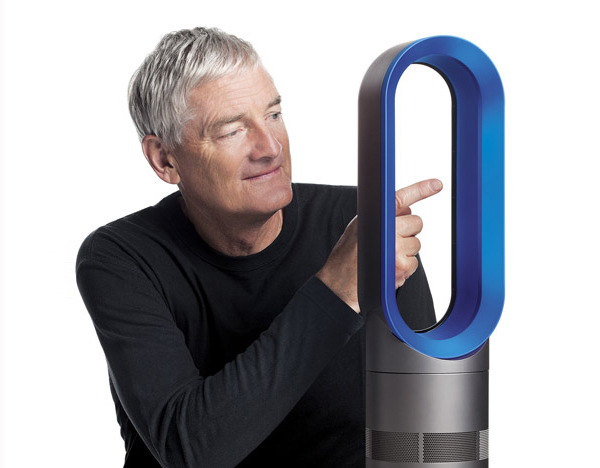 But now James Dyson is bringing even more heat by releasing the new Dyson Hot, a bladeless space heater! The Dyson Hot fills a room with warm air faster than traditional space heaters, and it can even double as a fan in hotter months. Using the same premise as their Air Multiplier fans, Dyson added a heating element which blows air over an aerofoil, filling a room with heat. The Dyson Hot is safer and cleaner than a regular space heater. The ring shaped opening has low surface temperatures, and also doesn’t get dirty and dusty as there are no grilles (which can trap debris that can catch on fire). It also features an automatic thermostat and convenient remote control, and automatically turns itself off should it be knocked over. The Dyson Hot was created to heat a room more efficiently than a conventional heater, saving both money and energy. Space heaters tend to just heat the immediate radius around them, but the Dyson Hot projects heat to all areas of a room. It also has heat detecting technology- once set to the desired temperature, it monitors the air, and turns back on when the temperature drops. The Dyson Hot enables consumers to effectively heat an entire room without using central heating (which also heats unoccupied rooms needlessly). What’s more, it can be used year round- just remove the heating element to efficiently cool the same room with the bladeless fan. The new Dyson Hot is a cost effective and energy saving solution for climate control. I was considering buying one, but even the salesman at the store couldnt inform me of its energy ratings! Seems a shame to waste all that money on technology Mr Dyson, when you dont inform the consumer of running costs. Will spend my hard earned dollars elsewhere! "It also has heat detecting technology" That's great marketing speak for thermostat! why is there no and i repeat no information on the watt rating of this machine. Something amiss here i think. This apparently runs on 1500 watts of power. I was a bit surprised myself when I looked on their site and could not find any power specs as well. I'm not sure about the 1500 watt rating, this is just what I found searching on the net. It certainly doesn't sound particularly efficient...but cool non the less. I would like to see specific power ratings on the website. Like all conventional heaters (and hairdryers) it consumes a lot of energy. Strangely the online site doesn't show its power rating.